Well, the ad is a bit cheesy. But the concept is on point (is that Grant “Twiggy” Baker in there?). 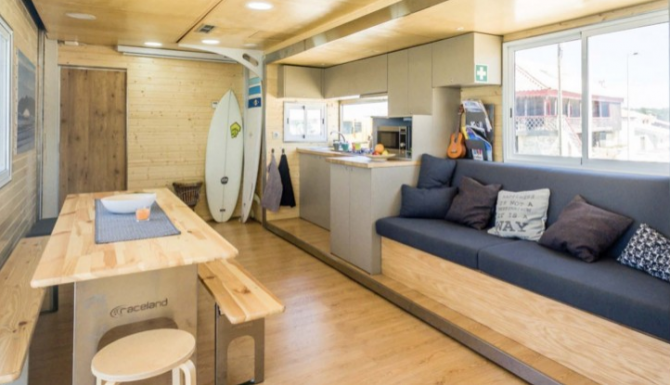 The Truck Surf Hotel is a new concept in Portugal that takes riders of waves directly to the surf instead of having to walk to the break from a good ol’ fashioned Airbnb. And for only $119 per night? Not exactly cheap. But hey, the price includes a buffet breakfast. The truck travels to places like Alentejo and Algarve using “rural tourism farms and natural camping parks as places to sit for the night. Drying racks and board storage included.